“There is nothing we want more than peace with all our neighbors, but reconciliation between Fatah and Hamas makes this peace much more difficult to achieve,” Netanyahu said in a statement published on his official Hebrew and English Facebook accounts. There is nothing we want more than peace with all our neighbors. 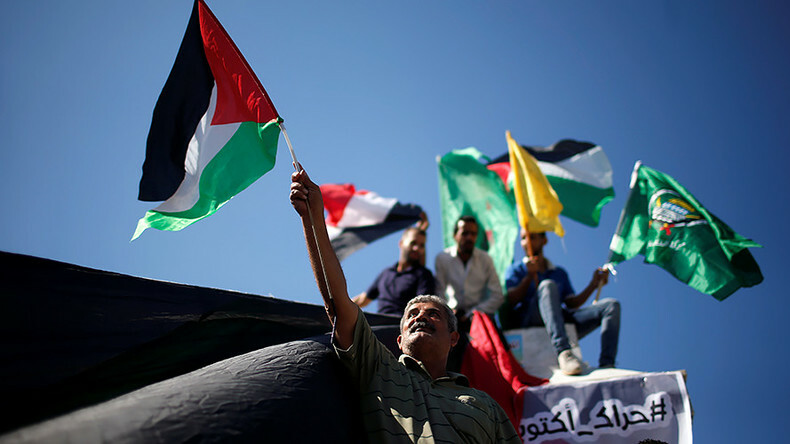 Reconciliation between Fatah and Hamas makes peace much harder to achieve. Palestine’s civil discord started in 2007 when Hamas won the elections and obtained power in Gaza while the West Bank territories fell under Fatah’s control. Since then, all attempts to reconcile the two groups and form a Palestinian power-sharing government have stalled. In 2014, the rival faction managed to briefly negotiate a deal, which also angered Tel Aviv. Israel swiftly suspended US-sponsored peace talks with the Palestinians, refusing to deal with Hamas, which Tel Aviv considers a terrorist organization with the sole aim of destroying the State of Israel. On Thursday, after intense negotiations, Hamas and Fatah reached a new reconciliation deal, which Israel once again immediately rejected. “Israel is opposed to any form of reconciliation in which the terrorist organization of Hamas does not disarm and does not stop fighting for the destruction of Israel,” Netanyahu said. Tel Aviv, the Israeli PM said, will never accept Hamas’ strive to destroy Israel and will not deal with an organization that “advocates genocide” and launches “thousands” of rockets and tunnel incursions into Israel. Netanyahu also accused Hamas of murdering children, oppressing the LGBT community and holding Israelis hostage. He believes Hamas is also guilty of “mourning” the death of former Al-Qaeda leader Osama Bin Laden, as well as “torturing” the opposition. 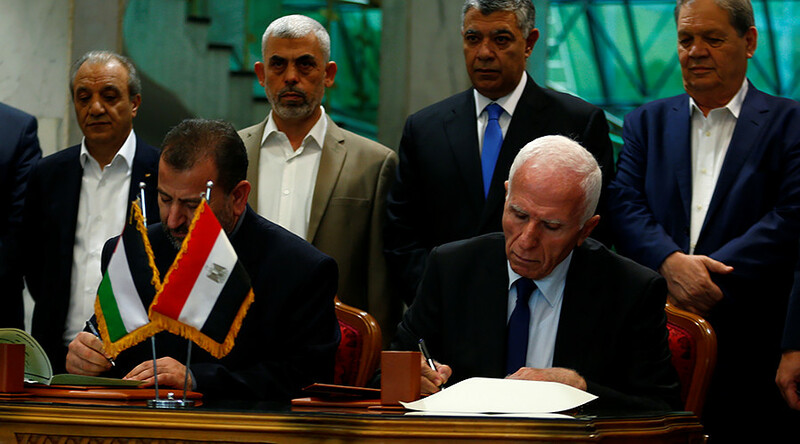 While the Palestinian factions Fatah and Hamas reached a preliminary reconciliation agreement that the parties hope to implement in stages, they still seek to work out differences. According to the agreement, the Palestinian Authority (PA) is to assume all governing rolls in Gaza no later than December 1. 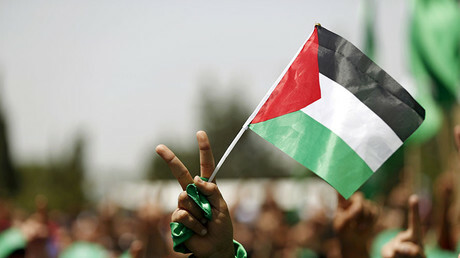 The PA will also take over the responsibility for Gaza’s border crossings no later than November 1. Yet the key issues such as the fate of Hamas’ military wing and wider political strategies are to be discussed at a later date, Haaretz reported. Palestinian unity is necessary in order to have meaningful discussions with Israel on a two-state solution. Yet Israel refuses to have militant Hamas be part of the government. Before any two-state solution negotiations can resume, Tel Aviv advised the Palestinians to disarm Hamas and force the organization to honor international law. “Any reconciliation between [Hamas and Fatah] must include honoring [international] agreements [and] Quartet conditions, firstly [by] recognizing Israel [and] disarming Hamas,” spokesperson to the Arab media in the Israel Prime Minister’s Office, Ofir Gendelman‏, tweeted. He added that digging tunnels, manufacturing missiles and initiating terror attacks are “incompatible” Quartet conditions and US efforts to renew the Middle East peace process. The Israeli spokesman called on Fatah to assume responsibility for any militant action in Gaza, after a PA takeover of the region in December. Hamas’ original charter in 1988 called for the reclaiming of all of Mandatory Palestine, which includes present-day Israel. The PA instead has been trying to negotiate the creation of a Palestinian state within the 1967 borders. Reconciliation efforts between Palestinians and the Israelis have been supervised by the so-called Middle East Quartet – comprising the UN, Russia, the United States and the European Union – which advocates a two-state solution along the 1967 divide. As long as the reconciliation process between the rival Palestinian faction proceeds, Israel will do all in its power to sabotage the process, political commentator Doctor Asa'ad Abusharekh from Gaza has told RT.